Join us on Saturday, March 2nd 2019 at 11:00 am for the 2019 JA of Kentuckiana Penguin Plunge! The brave “penguins” will take the plunge for financial literacy programs in Hardin County in the parking lot of the presenting sponsor Bluegrass Cellular (1608 Ring Road, Elizabethtown, KY). The Penguin Plunge offers a morning of fun and excitement for the whole family kicking off with the Parade of Penguins, costume contest, and a variety of awards for those brave enough to take the plunge. Food and drink will be available. Registration is at 11:00 am with the Penguin Plunge beginning at noon. WQXE and WULF will be broadcasting live at the event. Plungers can be 12 years and older (waivers must be signed by parent for those under 18). 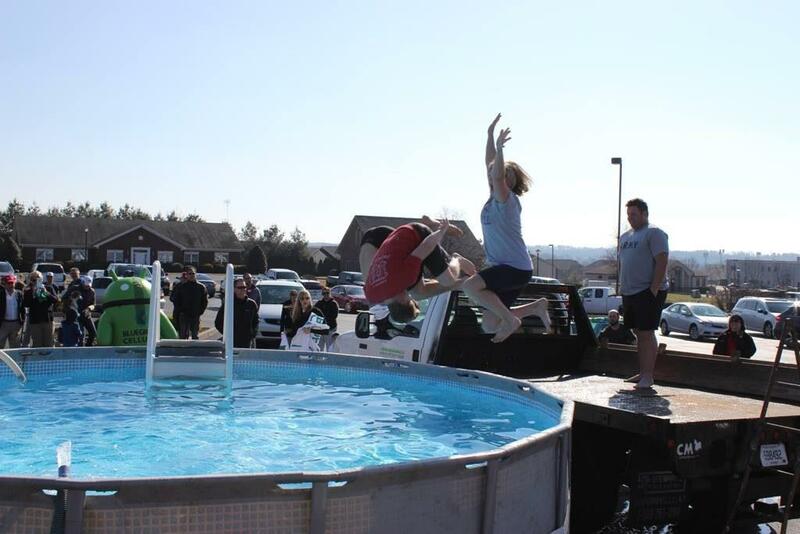 The Penguin Plunge helps raise funds to provide Junior Achievement programming to students throughout Hardin County. To sign up to take the plunge, click the link below or contact Lindsey Alicna at Lindsey.Alicna@kyfb.com. Don’t forget you can fund-raise online! Help us reach out $15,000 goal. Add your team here and ask co-workers, friends and family to help you bring Junior Achievement financial literacy, work readiness and entrepreneurship programs to Hardin County students!